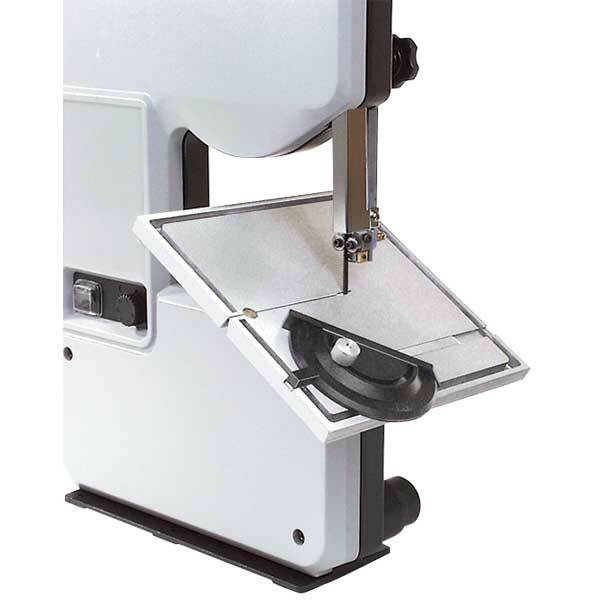 Variable Speed Band Saw Cuts Intricate Shapes in Metal, Plastic, Wood, Stone, Tile, Glass and More! Band saws designed for cutting wood run too fast to cut metal, and plastic comes away as a gooey mess. The electronic speed control on our professional quality band saw lets you dial-in the exact speed you need to cut these materials. Make designs you never dreamed possible. Cutting metal is so smooth and fast you'll complete your work in just 1/10th the time of other methods. . (Cooling Set #82211 is recommended when repeatedly cutting metals). You can even stack workpieces to make exact duplicates in one pass. And, with the optional diamond blade and cooling system sold separately, you can easily cut intricate designs in glass, tile and other hard materials. 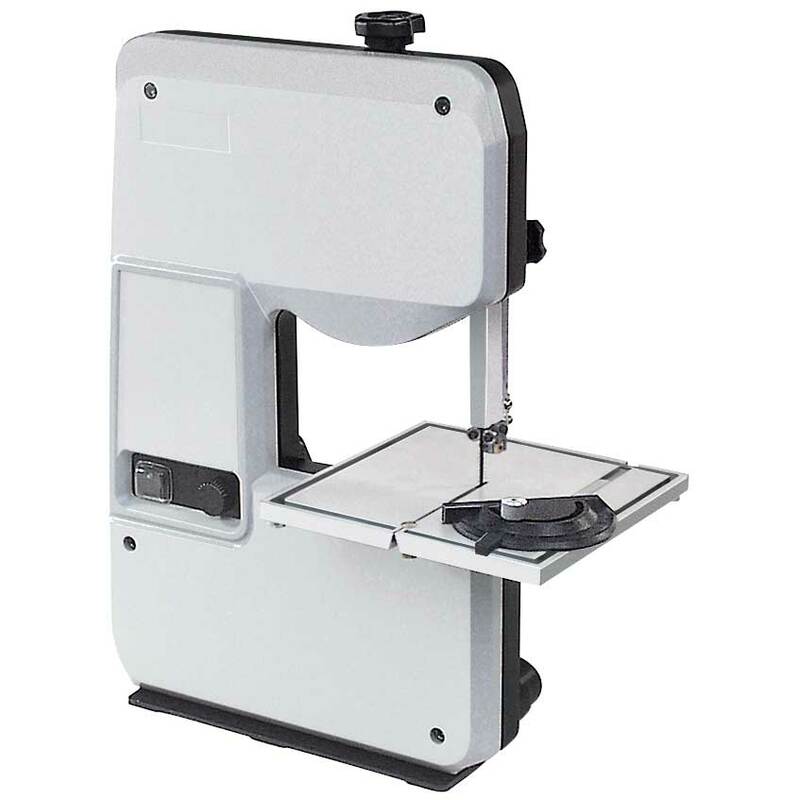 Overall size (band saw only): 15 inches wide x 20 inches high x 11 inches deep; weighs 13 lbs. Includes one .180 inch wide x .031 inch kerf x 41-7/8 inches long x 14 tpi blade, adjustable ball bearing blade guide and instructions. Made in Japan. The machine was great until I needed a replacement blade. This shop no longer sells them leaving me with a useless machine. The bandsaw is a good tool to use for many types of materials. We cut steel ( 1/4 thick )brass and thick wood with ease. The coolant system we purchased helped a lot to cut the hard materials. <br>We use this bandsaw to cut 1/8 304 stainless plate stock. It preforms the job well, slow but well. Our business required a good reliable saw and this one works good. <br>Our only issue , the coolant tends to drip down from the sides of the saw, and spray out, you need a cover as not to have a little mess on the floor. <br>The cost could be a bit less expensive, but otherwise its a good power tool for hobby work.